A breakthrough rating scale that identifies when “strengths become weaknesses” through overuse. 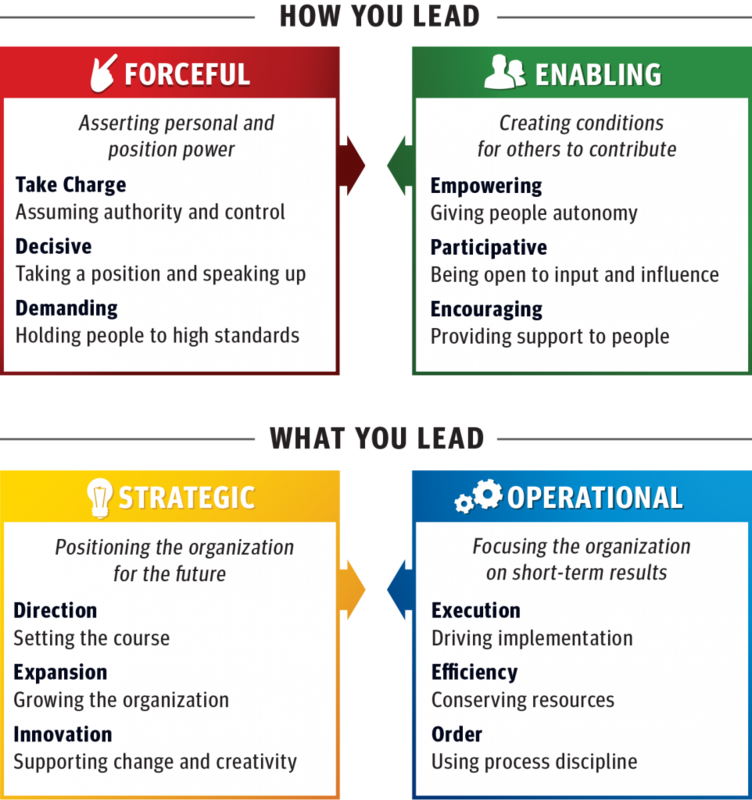 A compact behavioral model that represents the tensions and tradeoffs that make leadership a balancing act. A central, integrative concept of versatility defined as the mastery of opposing forces needed to deal with paradox and fast-paced change. A blend of quantitative ratings and in-depth qualitative written feedback that provides a clear and compelling message. An underlying model of learning and development that combines the outer work of behavior change with the inner work of mindset change. A program of published research demonstrating reliability and validity at predicting employee engagement, team performance, and effectiveness. With these truly unique features packaged into a brief 15 minute survey and a powerful yet compact summary report, it is no wonder that the LVI captures the attention of executives around the globe like no other 360.